What to Do If I Have the Flu? Are There Medicines Available to Treat the Flu? How Long Should I Stay Home if I Have the Flu? Do I have the flu or is it common cold? Most people fail to answer this question on their own. The symptoms of both flu and cold are quite similar. That makes people ask, "How do I know if I have the flu?" You have to understand that the influenza virus causes the flu, whereas a cold is only a respiratory infection. Still, both are viral infections, so it is not easy to distinguish between the both. How do you know if you have the flu? One big difference is the symptoms of the flu will begin very suddenly, whereas it takes some time for symptoms to develop if you have a cold. Between 5% and 20% of the U.S. population have to deal with the flu every year, which makes more than 200,000 people visit the hospital because of flu complications. You may suffer from the flu due to the exposure to one of three types of viruses, including Influenza A, Influenza B, and Influenza C. Both Types A and B are responsible for seasonal epidemics. The most common symptoms of the flu are headaches, sore throat, vomiting, diarrhea, nausea, cough, and feeling feverish – you may have a fever higher than 100°F. You won't have a high fever though if you're suffering from a common cold – your runny nose will also improve within a few days. The question is, "How do you know if you have the flu?" Like mentioned already, you can differentiate between the both by checking your temperature. A common cold won't usually cause a high fever. The following table will help you if you always ask, "How do I know if I have the flu?" You already know the main signs and symptoms that will help answer, "Do I have the flu?" Here are some warning signs that mean you're going to have the flu. In children, the most common warning signs are bluish skin color, fast breathing, little interaction, irritability, and fever with a rash. Your child may also refuse to drink enough fluids. If they are unable to eat, have no tears when crying, and urinate less frequently, it's time to call your doctor right away. The most common warning signs in adults are sudden dizziness, pain in the chest, confusion, shortness of breath, and flu-like symptoms that improve over time but return with high fever. Take the quiz here to find out more about signs of flu and cold. Once you know the answer to your question, "Do I have the flu?" it's time to learn what to do when you have it. You don't usually need to seek medical attention when you have the flu. Just avoid contacting with other people and take plenty of rest. Don't go out of your home or you will be infecting others as well. Wear a facemask if you have to go out – also keep a tissue with you to cover your sneezes and coughs. Be sure to wash your hands often. You may have to seek medical attention if you experience severe flu-related complications. That's usually the case when you have certain medical conditions – young children, pregnant women, and seniors are also at a higher risk of developing flu-related complications. If you fall in these categories, it is important to contact your doctor and tell them about your symptoms and condition. Yes, there are certain medicines available to help you treat your symptoms. Your doctor will prescribe "antivirals" to treat your flu. It is a good idea to use these medicines instead of waiting for your symptoms to clear. The drugs will accelerate recovery and keep you from dealing with any serious flu-related complications. After your fever has gone, you should wait for another 24 hours to go out of your home. 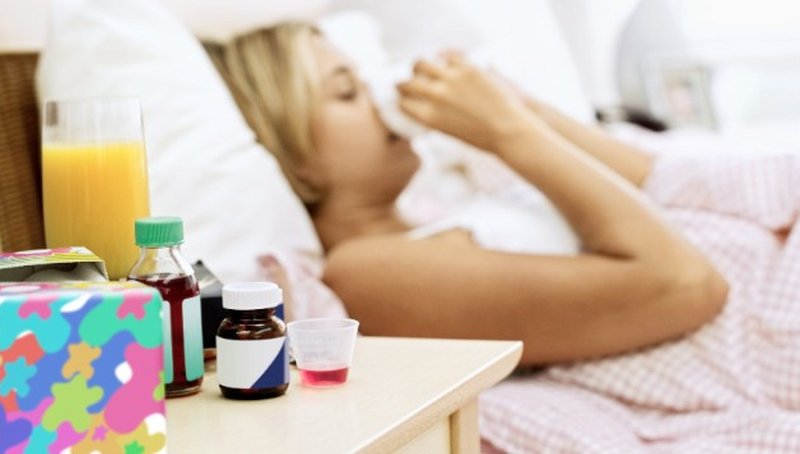 There is usually no need to take any medicine to reduce fever, such as Tylenol, but it is important to take plenty of rest while you still have fever. You should take an off from school, work, shopping, travel, public gatherings, and social events. This is good for you and for others too.